Most of my projects are related to the oceanic lithosphere and its life cycle. 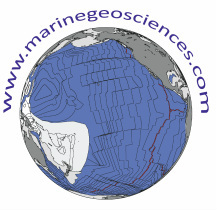 I am particularly interested in seafloor spreading and mid-oceanic ridges, where the oceanic crust is continuously being created by melting mantle material in response to tectonic plate separation. July 2014 (2 weeks): CGB summer expedition in the Arctic ocean. Onboard the G.O.Sars. April 2014 (8 weeks): IODP scientific cruise: Igneous petrologist onboard the R/V Joides Resolution during the Izu Bonin Mariana: Rear Arc, expedition leg 350. November 2013 (6 weeks): ODEMAR expedition, (P.I., Javier Escartin). Onboard the N/O Pourquoi Pas?. Igneous petrologist, conducting dredges and ROV dives. 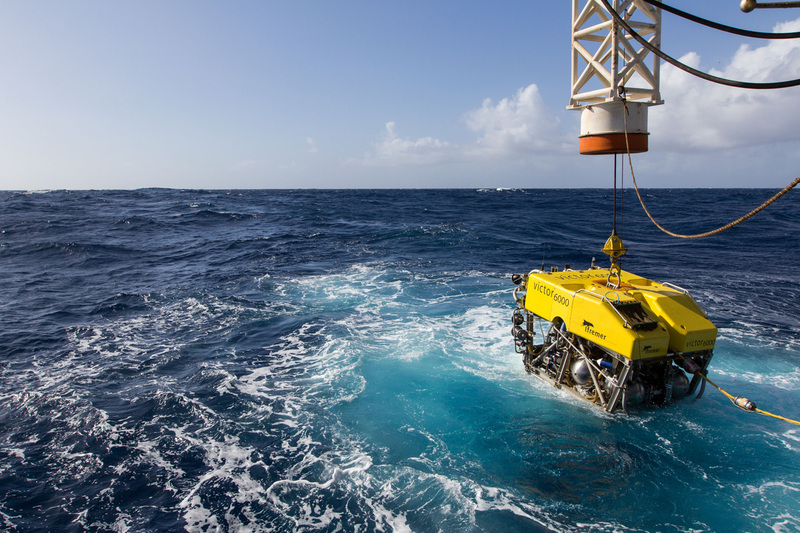 May 2012 (5 weeks): Kane-Atlantis expedition, (P.I., Charlie Langmuir). Watch-leader of the night shifts onboard the R/V Knorr. December 2010 (8 weeks): IODP scientific cruise: Igneous petrologist onboard the R/V Joides Resolution during the Louisville Seamounts Trail expedition leg 330. December 2004 (5 weeks): PACANTARCTIC 2 expedition (P.I. Laure Dosso/Helene Ondreas), onboard the N/O Atalante: joint geophysical survey and geochemical sampling cruise along the Pacific-Antarctic Ridge between 41°15’S and 52°45’S. If you want to help me with this, do not hesitate to contact me. Although ultra-mafic olivine-rich rocks are the mantle main component, its dynamic tends to create a complex lithological assemblage. 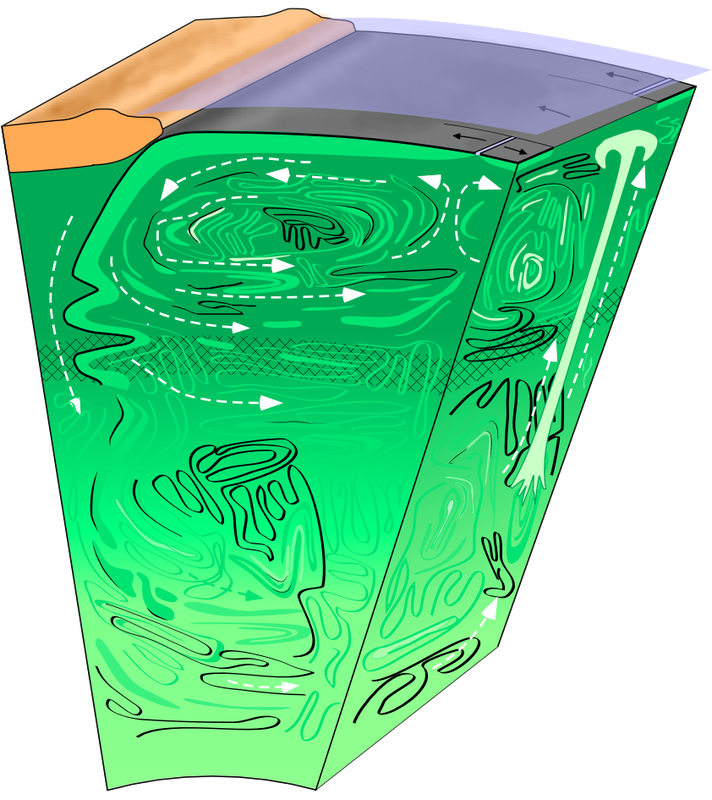 The existence of convective movement in the earth mantle has been proposed by Fisher in 1881. Geochemical variations in Mid-Oceanic Ridges Basalts (MORB), as well as in Oceanic Island Basalts (OIB) have illuminated the mantle heterogeneity. The oceanic basalts are produced by partial melting of the mantle and are indirect indicators of the composition of their source. In the late eighties, geochemical data have been used to formulate the “marble cake” heterogeneous mantle hypothesis (Allègre et Turcotte, 1986). In this model, mantle lithological heterogeneities are generated in subduction zones by recycling old oceanic lithosphere. This process is believed to produce eclogite layers in the mantle, which are thereafter progressively stretched and folded by convection. Since these early studies, improvements of tomography technics have allowed to image the delamination process of the oceanic lithosphere sinking in the mantle. The mantle lithological assemblage is the result of two opposite processes: creation of heterogeneities in the lithosphere and progressive destruction of these heterogeneities during convective mingling in the asthenosphere. This deep earth geochemical cycle is associated to thermal exchanges in the mantle and is therefore a key process for the geodynamic of our planet. 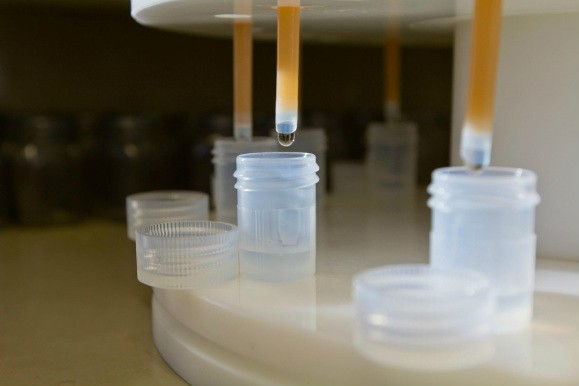 Chemical preparation of samples in clean laboratory conditions.